Cadence, Inc. is ranked among the top companies providing outsourced manufacturing solutions for medical, life science and industrial applications worldwide. Headquartered in the beautiful Shenandoah Valley, Cadence boasts 4 U.S. facilities (VA, RI, PA and WI) and 500 employees. A Great Place to Work! – In 2015, Cadence was selected as an Employer of Choice by the Employers Association of the NorthEast. From our company culture to our benefits program, Cadence is an awesome place to work. 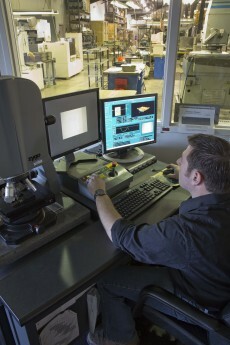 Stability & Financial Strength – As a premier metals manufacturing company focused on new medical technologies, we have a reputation as the market expert for improving product performance. We are financially strong and well positioned for continued growth. Career Growth – At Cadence, we consider our employees to be our most valuable asset, and as such we are committed to providing you an environment where you will be appreciated, respected, and challenged – you will have the opportunity to grow professionally. Make a Positive Impact – At Cadence “do the right thing” is more than just a corporate motto; it’s our guiding principle and way life. You can be proud of the fact that what you do every day will help save lives. Facility Locations – Cadence facilities are located in beautiful, scenic areas throughout the U.S. From the Shenandoah Valley of Virginia to Door County, Wisconsin, we have a location for you! Check out the Door County's “Business by Nature” video. At Cadence, enjoy a comprehensive benefits package that includes an employee incentive plan and stock purchase options, as well as traditional benefits. Cadence offers a full benefits package that includes medical insurance, dental insurance, disability and life insurance. Other benefits include paid holidays and vacation days, tuition reimbursement, a 401(k) plan with company match, and a company-wide incentive plan. Find a Job and Apply Now!